Ohlheiser is proud to announce that we are now an authorized distributor for the complete line of Akribis System motion products. 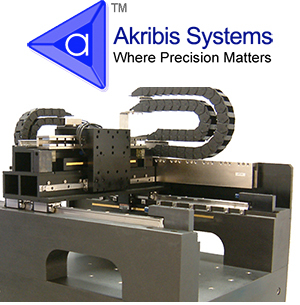 Akribis Systems designs and manufactures motors, stages, and precision systems that are used in equipment for manufacturing, inspection, and testing. Akribis Systems supplies linear servo motors, rotary motors, air bearing stages, xyz stages, voice coil motors. 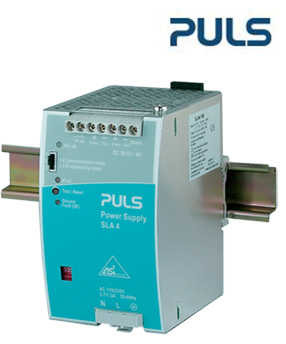 PULS is specialized in the development and manufacture of DIN rail power supplies. The DIMENSION family the highest efficiency, longest service life and – of course – the smallest dimensions in the market. With the widest range of 12-48V DIN-rail power supplies, these products are classified in three series: Q , C and X with 1-, 2- or 3- phase input and a power of 80 to 960W. The MiniLine family covers DIN-rail power supplies for low and medium power range from 15W to 100W. The units, in their rugged plastic housing are highly efficient, compact, reliable and can be installed in seconds. PULS Has introduced the PIANO product line that has significant price advantages. PIANO prices are 20 to 40% below previous model prices. Despite their low cost requirements, an MTBF of more than 1.4 million hours and efficiencies of 90.5 to 95.2% have been achieved. The SDS-3008 smart Ethernet switch is the ideal product for IA engineers and automation machine builders to make their networks compatible with the vision of Industry 4.0. It is easy to use, supports 3 industrial protocols, and its very thin design ensures it can be installed in almost any cabinet. EtherNet/IP, PROFINET, and Modbus/TCP industrial protocols supported for easy integration and monitoring in automation HMI/SCADA systems. 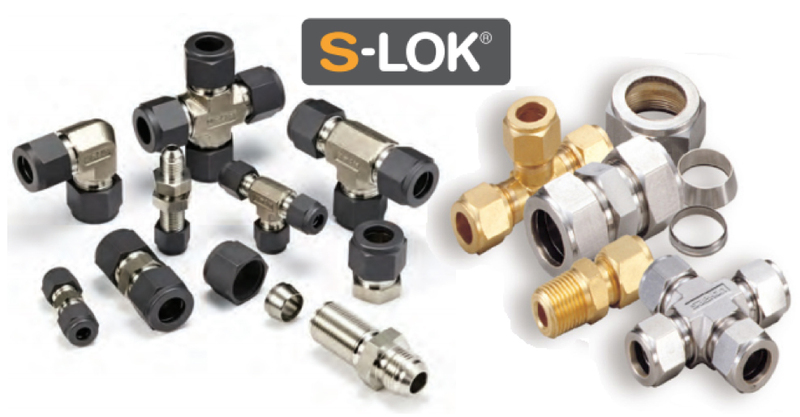 S-LOK Tube Fittings have been designed specifically for the many demanding applications such as chemical, petroleum, power generating, pulp, paper and various types of manufacturing industries. S-LOK Pipe Fittings offer burr-free internal and external surfaces. All instrument thread fittings are designed in accordance with ASME B31.3 for instrument and process. Bite Type Instrumentation Tube Fitting manufactured by S-LOK are designed to produce strong, reliable, leak- free joints in hydraulic, pneumatic, and lubrication applications. Instrument Valves manufactured by S-LOK are available in Integral Bonnet, Union Bonnet needle valve, Rising Plug valve, and Toggle valve varieties for use in instrument isolation. 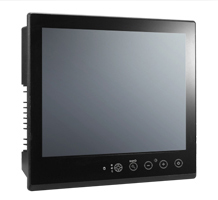 The MPC-2150 15-inch panel computers with 3rd Generation Intel® Core™ processor deliver a reliable, durable, high-performance platform of wide versatility for use in industrial environments. With its two software selectable RS-232/422/485 serial ports and two gigabit Ethernet LAN ports, the MPC-2150 panel computer supports a wide variety of serial interfaces as well as high-speed IT communications, all with native network redundancy. 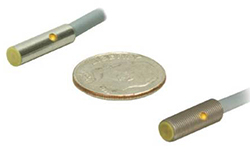 Turck is proud to announce the successful integration of EH03-AP6X/AN6X into our miniature sensor line. 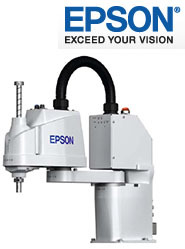 The new EH03-AP6X, along with our EG04(K) and EG05(K) sensors, are a formidable lineup for the stamping industry, medical device manufacturing and any application where small sensors are a requirement. Gast Claw pumps contain contactless rotors that are synchronized by gears without any lubricant present. This provides them th e benefit of avoiding any residue generated by friction or rubbing during rotation. The lack of friction between the rotors also leads to lower maintenance and long lasting performance. With only moderate energy consumption and very high efficiency, Gast’s claw pumps are a green technology which guarantee low operating costs. Designed with the end-user in mind, these pumps also feature continuous duty and simplified maintenance, truly taking efficiency to the next level.